2. OEM order is warmly welcomed in Rambotech and we have lots of successful experiences in doing OEM projects. What&rsquo;s more, we have design team who can give you the professional suggestions on package, silk printing, etc. What&rsquo;s more, we have designteam who can give you the professional suggestions on package, silk printing, etc. Q: How to proceed the order if I have logo printing9 A: First, pls provide your Ai file , then Sample picture or sending sample to you for confirmation, finally we will go to mass production. Q:How to ship the goods and make the payment9 A:Regard the mass production,it is ship by sea or by air,depend on final decision. Q: Do you offer guarantee for the products9 A: We offer 1year free repair service after shipment if you could ship them to us for all digital product . VIDAR 2017 Handfree necklace BT earphone WS06 BT 4.2 sports stereo wireless in-ear CE ROSH BT headset Specifications: Highlights: 1. Battery level indicated on iPhone 2. Receive calls, reject calls, end calls, redial the last number 3. Voice prompt 4. Waterproof function IPX4 5. long time to listen music and long standby time Features Bluetooth version:V4.2 Chipset : Jianrong CW Supported profiles: A2DP/ HFP/ HSP/ AVRCP Frequency: 2.402GHZ~2.480GHZ Talk time: 10 hours play music time: about 10 hours Standby time: about 360hours Charging time: 2 hours Working range:10 meters Battery:90mAh Size: 186*155*10mm Weight: 24g Weight(including packing): 120g Our target is BEST PRODUCTS with FAVORABLE PRICE to gain long-term cooperation with you. Product Pictures Company Service Advantage 1. Competitive price and 100% quality guaranteed 2. Instant feedback for any inquiry 3. High quality after-sales service 4.Eight years experience of professional bluetooth speakers manufacture and marketing 5.CE/RoHS/Reach/FCC/KCC Payment Our Service OEM/ODM: *Your Brand &LOGO Contact Edison Sun Skype: vidar888 TEL/Whatsapp: 00 86 17722514165 WECHAT: vidaredison QQ: 850975513 Pls feels free to contact us for any questions! All products we sold out are strictly selected and tested by our QC department. Certificates: We'll meet your demands as possible as we can if mass order is confirmed. 5, Q: What's the price9 R: The price will base on your detailed order requests. DHL:Reach most of the countries within 4 to 5 days. FEDEX:Reach most of the countries within 2 to 6 days. China Post:Reach most of the countries within 15 to 30 days. Stereo In Ear Plug Headphones Pear Diamond Necklace Stereo Earphones Earbuds For iPhone DESCRIPTION: Excellent sound quality and super clear sound. Lightweight and Plug:3.5mm standard plug Microphone:yes Sound Control:yes Model:for MP3, MP4, MP5, PC, phone Plug:3.5MM standard plug Length of Handset : About 135CM Note: this item is 3rd party product . Our price of products is diversity, different price, different quality, please choose the products according to your own situation. 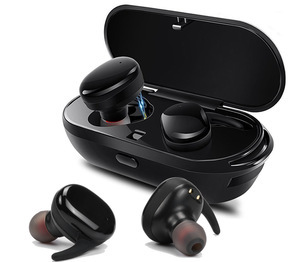 Microphone Function and Mobile Phone Use mini wireless headphone wireless blue tooth headphone magnet, V4.2 stereo wireless earphone Specifications: Highlights: 1. Battery level indicated on iPhone 2. Multi-point: Connect 2 mobiles at the same time 3. Receive calls, reject calls, end calls, redial the last number 4. Voice prompt 5. Waterproof function IPX4 6. long time to listen music and long standby time 7. Metal shell with rubber oil coating Features Bluetooth V4.1+EDR Chipset : WT200S Supported profiles: A2DP/ HFP/ HSP/ AVRCP Frequency: 2.402GHZ~2.480GHZ Talk time: 7 hours play music time: about 6 hours Standby time: about 180hours Charging time: 2 hours Working range:10 meters Battery:90mAh Size: 22*11.5*13mm Weight: 16g Our target is BEST PRODUCTS with FAVORABLE PRICE to gain long-term cooperation with you. Product Pictures Company Service Advantage 1. Competitive price and 100% quality guaranteed 2. Instant feedback for any inquiry 3. High quality after-sales service 4.Eight years experience of professional bluetooth speakers manufacture and marketing 5.CE/RoHS/Reach/FCC/KCC Payment Our Service OEM/ODM: *Your Brand &LOGO Contact Cathy Yuan Skype: cathy198780 TEL/Whatsapp: 00 86 15813856396 WECHAT:0086 15813856396 QQ:1620469449 Pls feels free to contact us for any questions! How much would th at be9 ear phone headphone A: Different headphones have differenet prices, please point out the one you want. Q2:What would the payment terms be9 Earphone Headphone. 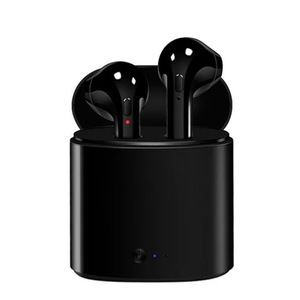 Airline Earphone Airline Headphone Q4:How can I get a sample to check the quality9 Earphone Headphone Headset A: After the price confirmed, you can apply samples to check our quality. Alibaba.com offers 125 handfree necklace headset products. About 34% of these are earphone & headphone. A wide variety of handfree necklace headset options are available to you, such as bluetooth, microphone, and noise cancelling. You can also choose from portable media player, mobile phone, and computer. 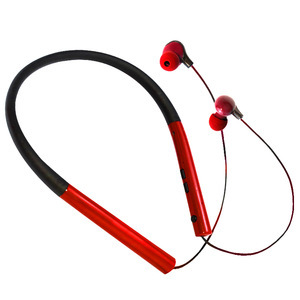 As well as from in-ear, neckband, and headband. And whether handfree necklace headset is usb, or 3.5mm. There are 45 handfree necklace headset suppliers, mainly located in Asia. The top supplying country is China (Mainland), which supply 100% of handfree necklace headset respectively. 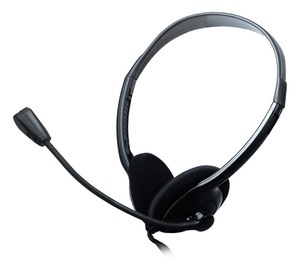 Handfree necklace headset products are most popular in North America, Western Europe, and Domestic Market. You can ensure product safety by selecting from certified suppliers, including 20 with Other, 13 with ISO9001, and 8 with ISO14001 certification.